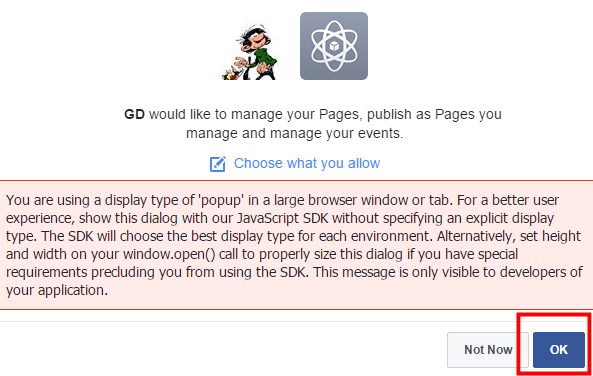 IMPORTANT: Facebook requires that all apps be submitted to Facebook for review (link). 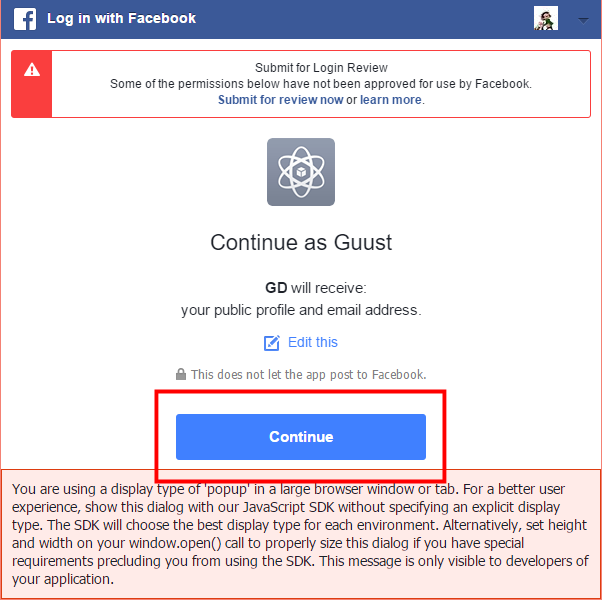 Facebook review is very slow, and so far we are not aware of any Social Importer apps having received approval for the permissions required. See this forum topic for more information. 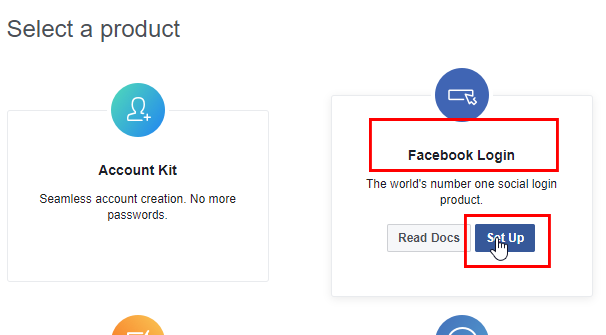 The Social Importer Addon allows your listing owners to import their business or event information from Facebook, or their business information from Yelp. 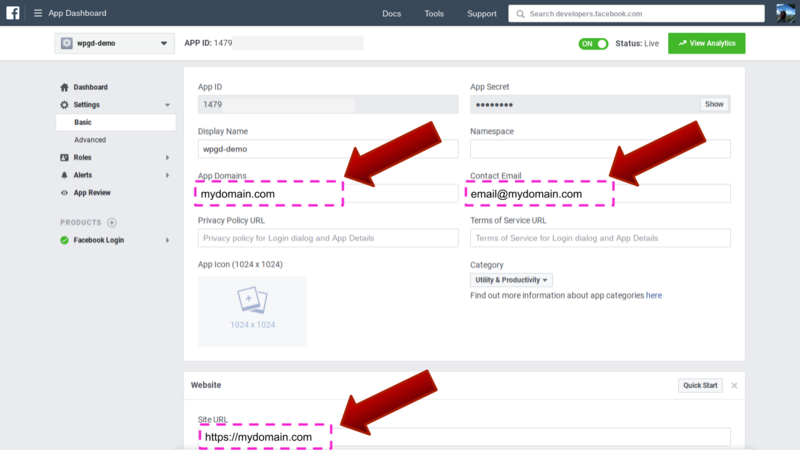 Users who visit your site’s frontend Add-Listing page can enter the URL in the dedicated field and then click Import to bring their details into the form. 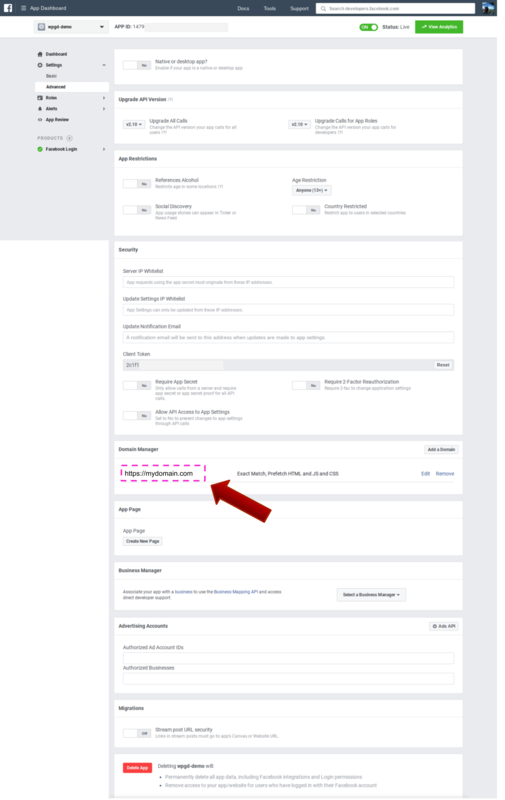 Once your GD site is connected to your FB app, you can also choose a FB page where new GD listings will be posted. Adding the Social Importer Addon to your site is done in the usual way, see Installing Addons. 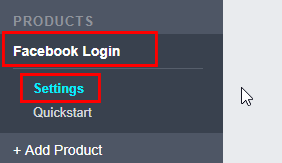 Login to your Facebook developer account. You may already have other URIs there and this URI should be in addition, make sure you get the URI exactly right, if you use www. and your site does not use it then it will fail. Open your website in another tab or window and navigate to GeoDirectory > Social Importer > Facebook. 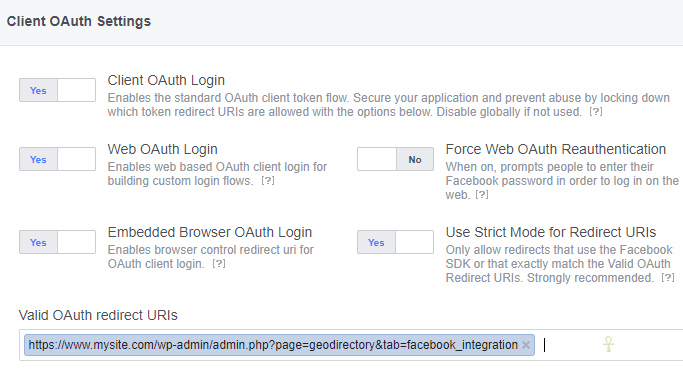 Copy and paste the Facebook App ID and Facebook App Secret from Facebook to your site. 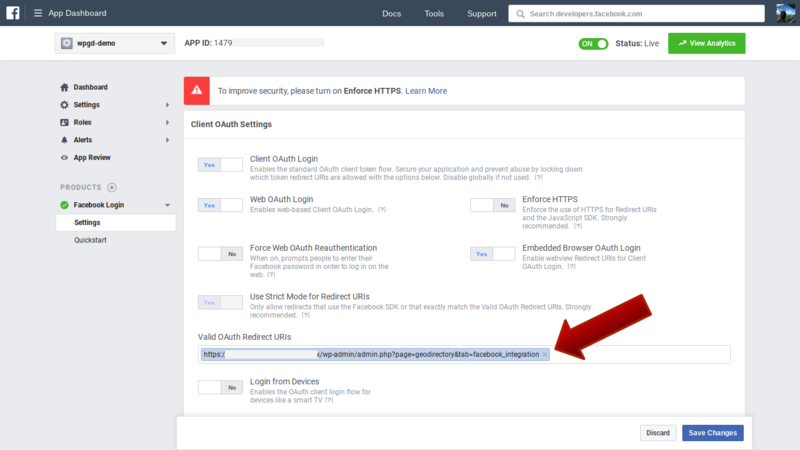 Save first and then click Connect Your App. 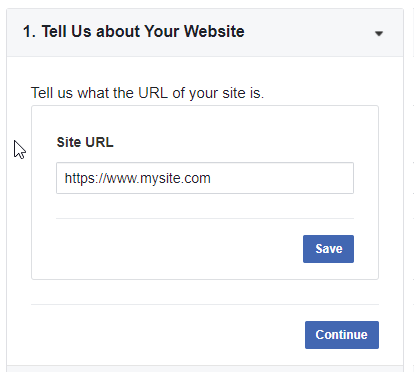 Once your GD site is connected to your FB app, a list of pages you manage will be available for the Post to page settings. Select the Facebook Page where new GD listings will be posted and Save. Create a Yelp account and then login to your Yelp developer account and select Yelp Fusion.